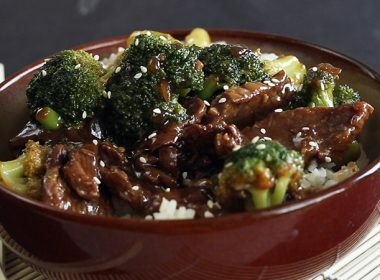 You’ve bought a new pressure cooker, or will be getting one for Christmas! 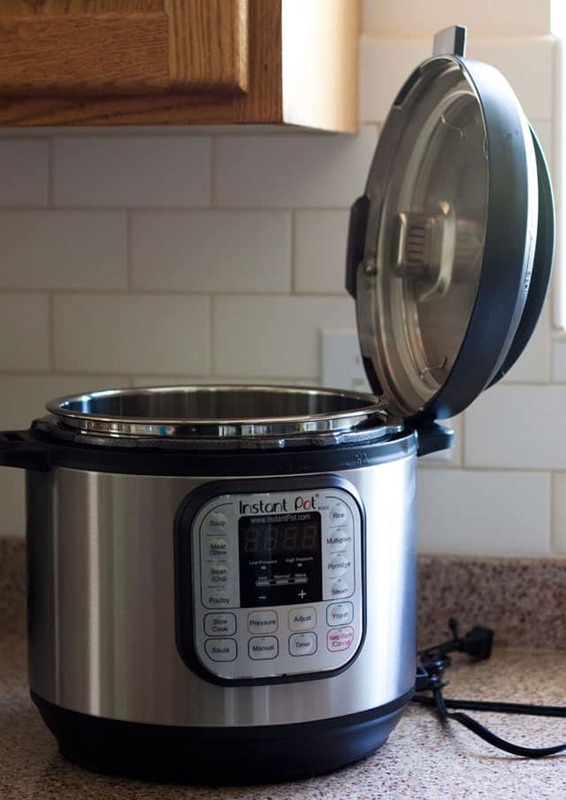 Now you want to know what pressure cooker accessories you should buy to help you get the most use out of your new Instant Pot or electric pressure cooker. The OXO Good Grips Stainless Steel Steamer is the accessory I use the most in the pressure cooker. It’s perfect any time you want to steam things like vegetables. 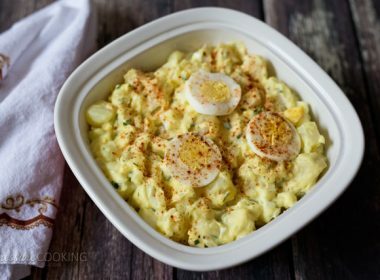 It keeps the potatoes up out of the water when I cook my Quick Pressure Cooker Potato Salad, Cheesy Potatoes Au Gratin, and Chunky Potato Cheese Soup, so the potatoes stay chunky and firm but also tender. 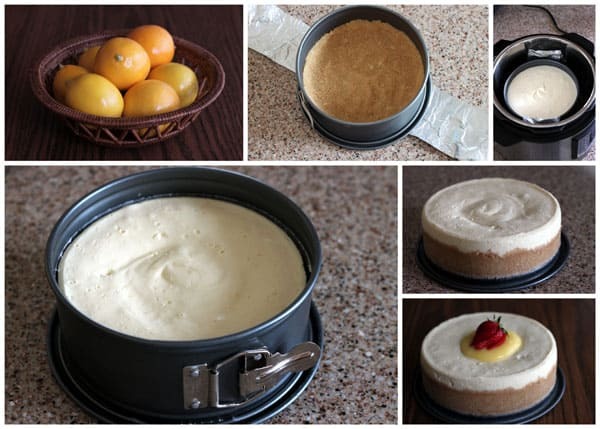 I love making cheesecake in the pressure cooker. It’s extra smooth and creamy when you make it in the pressure cooker. You can make it in a regular oven safe bowl lined with parchment paper, but I use a Nordic Ware 7 inch springform pan. Many in the Instant Pot Community Facebook Group also like the Fat Daddio’s Cheesecake Pan with a push bottom. Members of the group have also been using their springform pans to make lasagna. Check out my tips for Making Perfect Pressure Cooker Cheesecake, as well as a roundup of my cheesecake recipes. 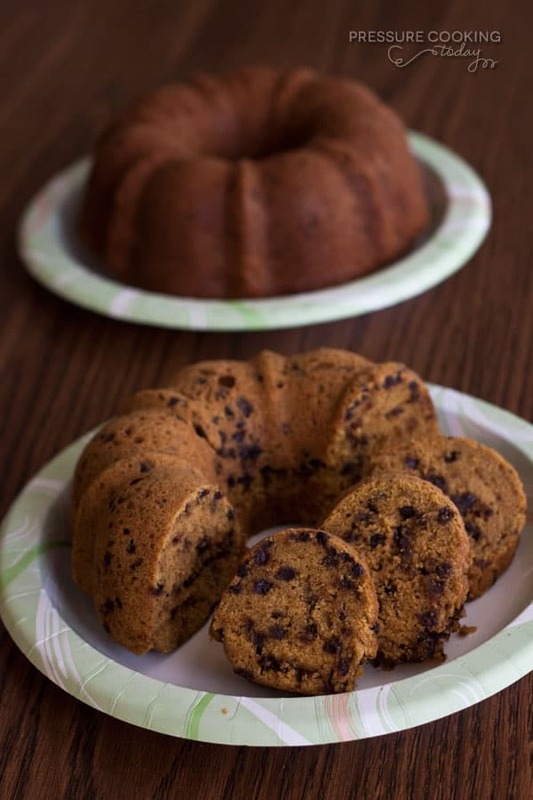 Another fun accessory I use is a 6 Cup Bundt Pan. 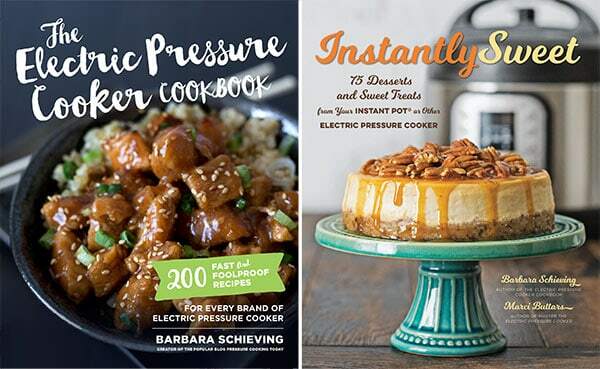 I’ve used it to make Pressure Cooker Pumpkin Chocolate Chip Bundt Cake, Steamed Carrot Pudding Cake, and even Stuffing in the Pressure Cooker. 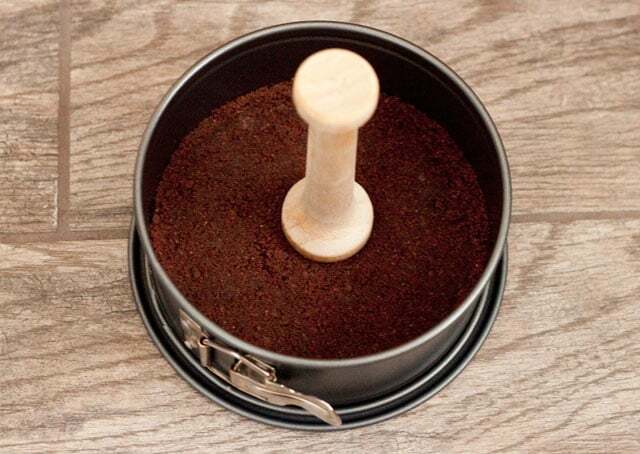 For making cheesecake crusts this little Fox Run Tart Tamper tool is a time saver. It does a great job of making a firm base for a luscious cheesecake. This is a picture of a chocolate graham cracker crust from my Pressure Cooker Samoa Cheesecake. I use my Pyrex 6-Ounce Custard Cups to make Flan and Creme Brulee in the Pressure Cooker. You could also use them to make Egg Muffins for breakfast. You’ll need an additional rack to use between the cup layers. The gasket/silicone ring is an essential part of the pressure cooker, but it does absorb odors as you cook. So many people buy a second gasket to have on hand for pressure cooker desserts and other mild tasting foods. I have a second Instant Pot Silicone Sealing Ring that I use for desserts. I recently bought an Instant Pot Silicone Cover. It’s nice to be able to put leftover soup in the fridge in the cooking pot. 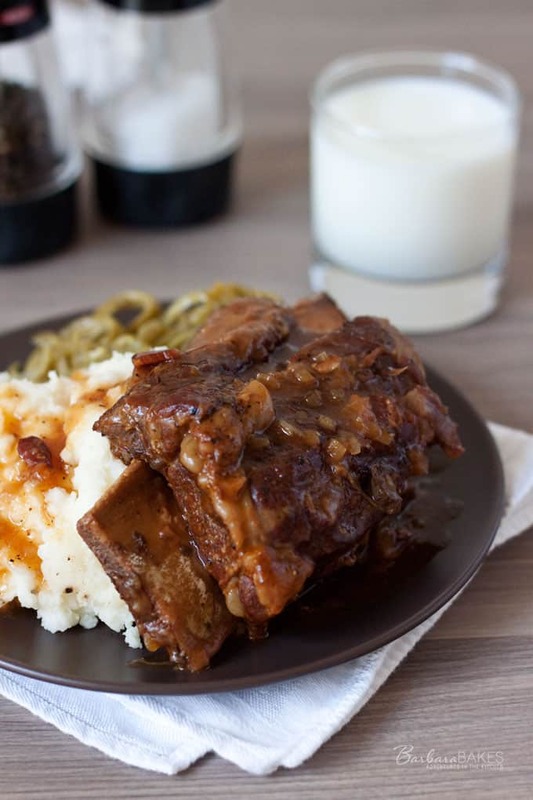 I also like to put short ribs or chicken stock in the fridge overnight to remove the solidified fat the next day. So it’s nice to have an easy way to cover the pot. 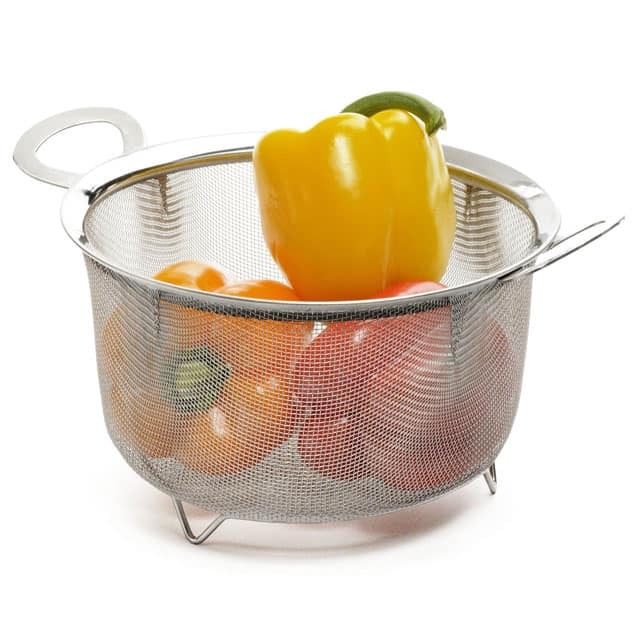 I recently ordered the RSVP Endurance Stainless Steel 3 Quart Wide Rim Mesh Basket. 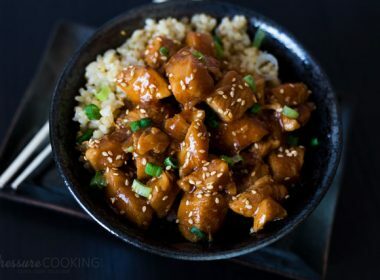 It’s really popular with the Instant Pot Community Facebook Group for steaming. You have to remove the handles for it to fit in the pressure cooking pot. 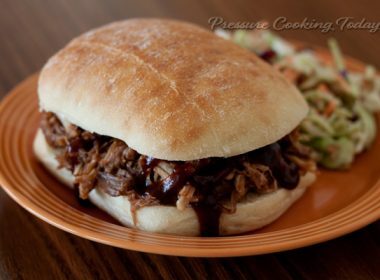 Do you have a favorite pressure cooker accessory? Can we use Teflon springform in pressure cookers , if yes then do we need to place a plate before placing the springform ? 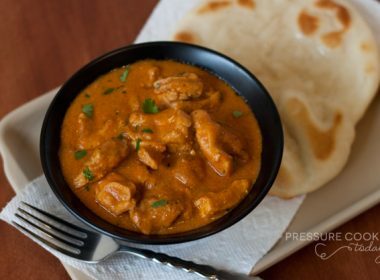 Hi Akansha – any dish that is oven safe and fits in the pressure cooker with room around the sides for steam you can use in the pressure cooker. You always want to use a rack to elevate the dish so it isn’t sitting on the bottom of the inner pot. Hi Barbara, the pans you listed are for what size IP? I have the 6 qt duo60 and want to get a Bundt Pan. Thanks! Hi Jeanne – they’re for a 6 quart pressure cooker. So the bundt pan will be perfect for your Duo60. Have fun! Hi, will these accessories fit the Crock Pot Express Cooker. I got one for Christmas, and I am in 7th heaven! I am 64 years old, and I remember my mother using a pressure cooker to can meat. It had 8 screw down clamps, and it was the ONLY kitchen tool I was not allow to use. One time, mom did something wrong, and it exploded. The lid went flying, and the quart canning jars flew up, and broke every where. So this new pressure cookers, so much fun. I made the best vegetable soup ever, and in only 20 minutes. It tasted like it had simmered all day. Thank you for this site, I love it! Hi Melody – yes, they will fit great in your Crock Pot Express. That does sound terrifying. The new electrics are so safe. Have fun! How do you remove the handles from the steaming basket? They seem to be on there really well! Help please! Hi Angie – my husband just used a screw driver to pry them off and they popped off really easily. Would it be okay to make mini cheesecakes in the glass custard cups? Does the cooking time change and do I need to cover them (to protect from lid drips)? 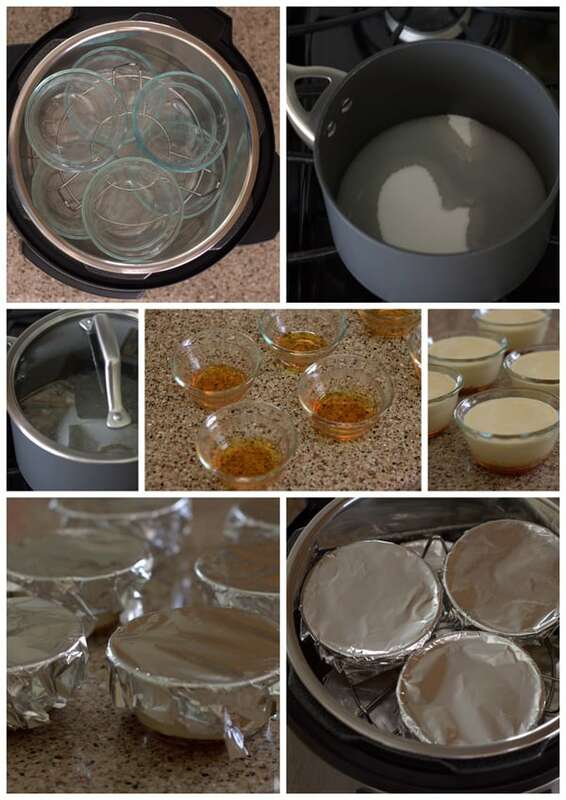 Hi Betsy – yes, here’s a post where I made cheesecake in the custard cups https://www.pressurecookingtoday.com/pressure-cooker-robin-egg-mini-cheesecakes/ I did not cover them. Barbara. When my daughter ask for a pressure cooker for Christmas last year , I bought her some silicone accessories (recommended by the web site I got the cooker) which included a cake pan, muffin pan and a rake, I also got a set for myself a set. My question is can I use these to do things like making a cake , a casserole, rice etc. ? I have made hard boiled eggs in the pan which was great because it has large loop handles which made it very easy to remove from the cooker. 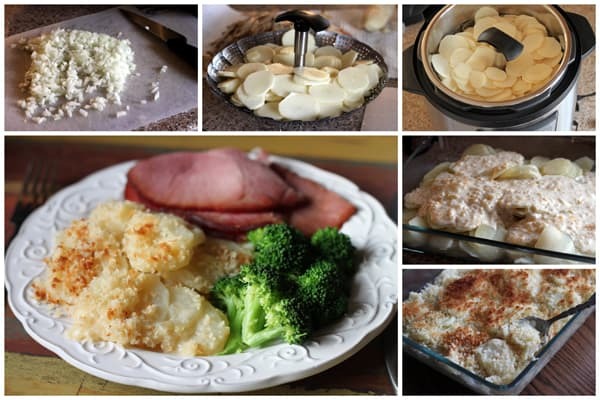 Hi Lynn – yes, you can use silicone pans for cooking cakes, rice and casserole, etc.. Just be aware that the silicone pans do absorb odors just like the gaskets. Any recommendations for a stainless steel bowl that will fit inside my 6 at Instant Pot for cooking rice that I could get on Amazon? 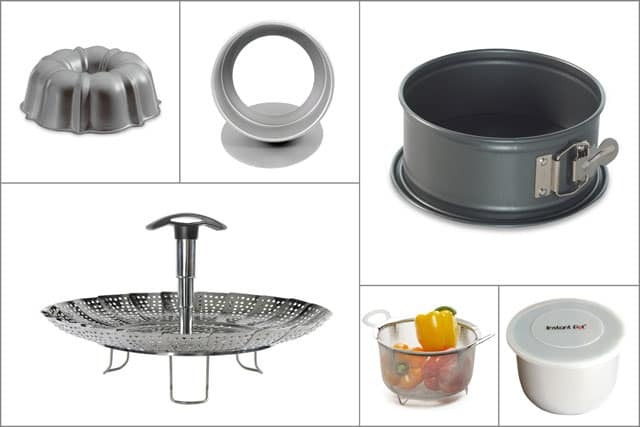 Will the accessories u listed as your favorite will they fit The power Pressure Cooker XL? Yes, they will all fit the Power Pressure Cooker XL as well. I have Elite Bistro. I haven’t checked with the manufacturer yet. To be honest I didn’t think about getting a backup ring until I found your post. Will check with them. Thanks! I have an 8 qt. & a 4 qt cooker. Why don’t they offer a 4 qt sealing ring? I like the idea of having a second one. I only see one for a 6 qt & a 4 qt. Was also considering buying a 12 qt. Can you tell that I love these things?! They’re so easy to love! I’ve heard it is harder to find some sealing rings. What brand do you have? Have you tried contacting the manufacturer? I like to cook rice using the “pot-in-a-pot” technique in my pressure cookers. The inside pot should be stainless steel to prevent the risk of breakage. Most stainless bowls I have found are too high on the sides and too round. Oddly enough, the best stainless bowl I use to cook my rice is a stainless steel dog bowl. I am a dog trainer and I have hundreds of these bowls. They have nearly straight sided sides, a flat bottom, and a short lip for grasping. And they work awesome! My rice always turns out fully cooked, light and fluffy, and all the rice is not gummy and sticky. People always ask me how I get my rice (especially brown rice) cooked so absolutely perfect every single time. And I use the opportunity to introduce them to the world of pressure cooking. Wow, stainless steel dog bowls???!!! I would’ve never thought if that thanks for the tip. I was just going to ask that question, what bowl can I use to cook rice in when the recipe calls for a stainless steel bowl. What size do I need for a 6 at? 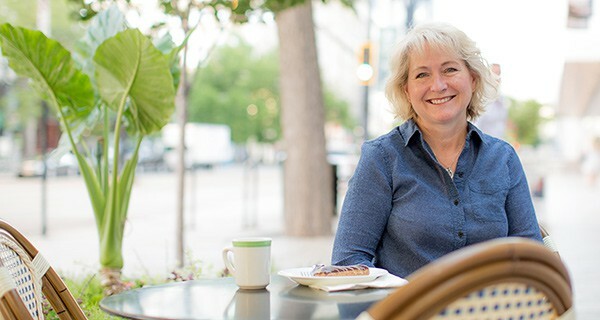 Hi Pam – it works great in my 6 quart Instant Pot. I recently purchased the Cooks Essentials PC. Will the accessories discussed work in that PC? Hi Marcy – yes, they should work just fine.